Not sure where to start? Choose a category! What if someone asked you to explain the difference between gasoline and natural gas? Or, how was coal formed? And how would you explain your "carbon footprint"? These are some of the questions our ITO Energy Investigators asked everyday people fueling up at a "gas" station. 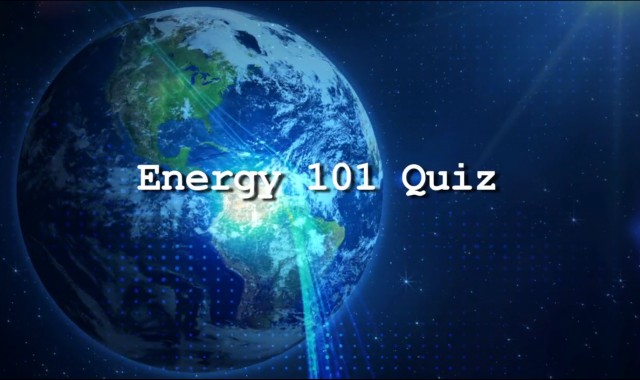 To test your Energy IQ, read the instructions below BEFORE watching the video. We even offer some fun ideas for engaging friends and family. Now go get energized! 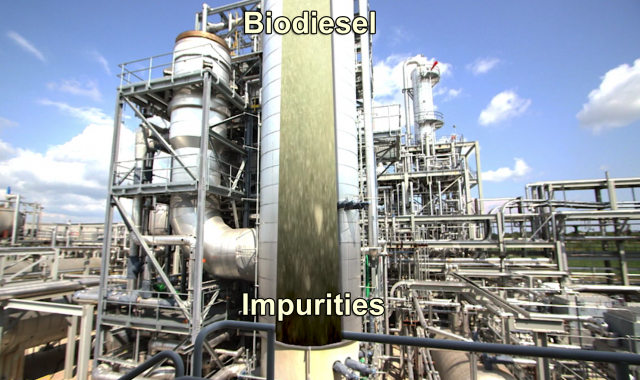 Discover the final reactions that happen at the Duonix Beatrice Biodiesel Plant when converting waste oils and DCO (Distillers Corn Oil) feedstock into hi-grade biodiesel... while also creating another co-product that we all use. The scene in Back To The Future II where Doc Brown puts garbage into his Delorean engine was ahead of its time. But now that future is almost here as engineers somewhat like Doc Brown are taking waste fat and old cooking grease and converting it into crystal clear biodiesel. Discover the people and technology behind this back to the future video below. Did you ever wonder what types of fuels help run all those vehicles and semi-trucks driving down the highway? And if you wondered, did you consider that it might be a blend containing a renewable fuel made from field corn? Then it's time to decode the biology and science of converting the stored energy in corn into renewable fuels such as ethanol and biodiesel that help power America’s cars and trucks. Find out by watching the Serious Science ethanol video below. Follow the process of ethanol production from how corn is grown, to how it’s harvested, to how it gets turned into fuel. Then, click the lesson links below to share and learn even more in your classroom about this "a-maize-ing" biochemical process. 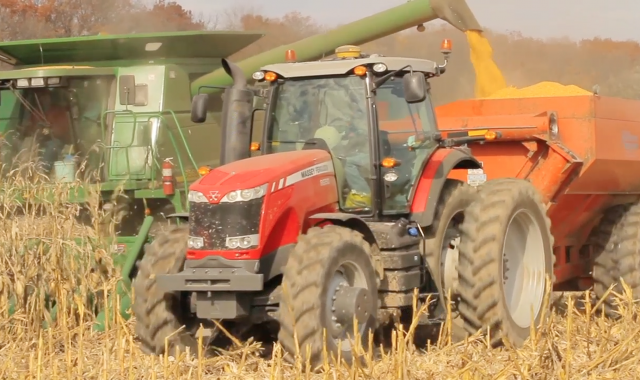 You'll also find more educational links below including those of our educational partner the Wisconsin Corn Growers who supported the video and lesson content for you and your class to learn from. Click on their logo below to explore more background information on corn and ethanol production. Discover this answer and more by watching the video below. 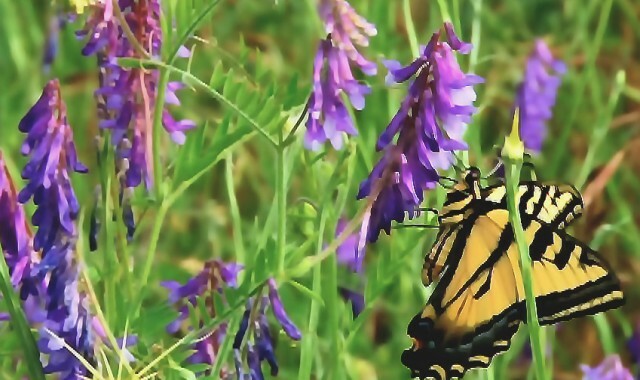 Learn more about the geology of sand deposits, how frac-sand is mined and processed, how a sand mine company limits their environmental impact, and even how they are helping to preserve an endangered butterfly species. Click the link to the discussion guide below to take this learning into your classroom. 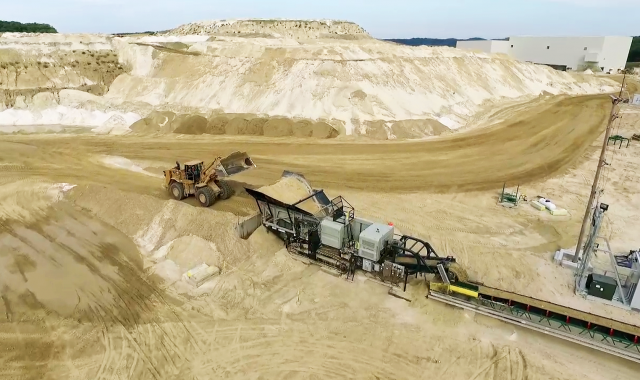 If you want to “dig deeper” into frac-sand mining, check out the website of the educational partner that supported this video and lesson content, Unimin. Unlock the answers to the physics, chemistry and science of hydrocarbons as you watch this "Emmy-Winning" video. You'll discover the technology of how oil is transported through pipelines to one of the most advanced oil refineries in North America. 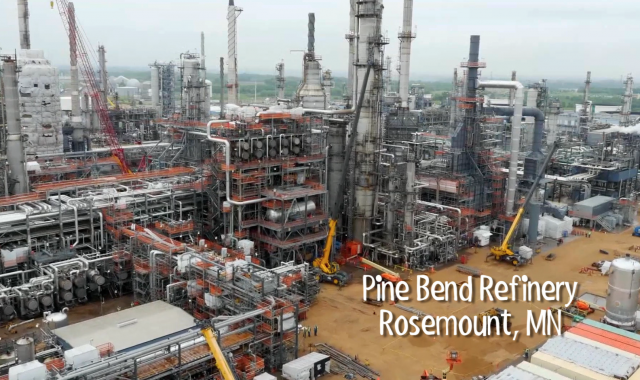 There, we'll explore the technologies used throughout the refining process, and discover how the refinery conserves natural resources. So start “refining” your knowledge by watching this video, then dive into extended classroom learning by using the Discussion Guide (coming soon!). 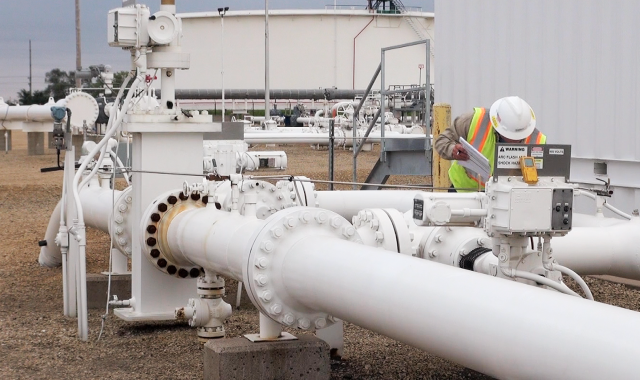 Okay, if pipelines are the most logical answer you'll see in this Serious Science video below, you’ll want to learn where and why pipelines are located, scientifically how they’re monitored, and what the process of maintaining and repairing them looks like. And what are the mechanics that make pipelines safe? 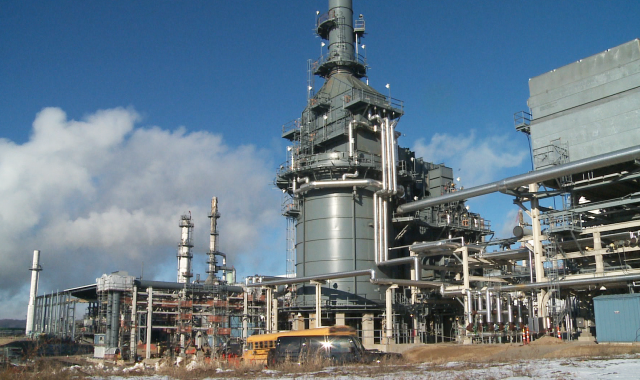 Plus, what technical and environmental challenges face pipeline companies in supplying our society with today's fuels? 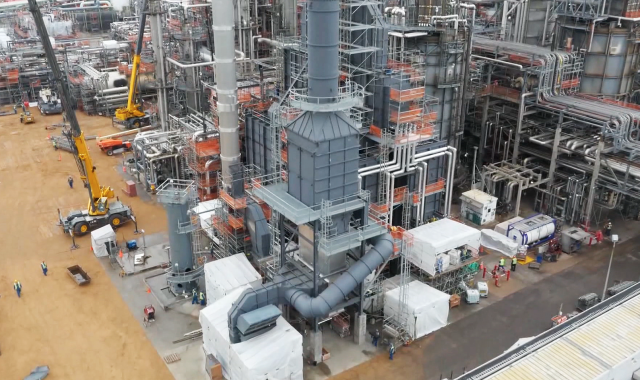 Watch the video and read below to discover the cutting-edge science of hydrocarbon molecular rearranging inside one of today's state-of-the-art refineries. And because the refining process uses water and air, they also employ cool technologies to address environmental concerns. Explore the video and content below and every tank of gasoline from now on will never seem the same. Here you'll get to explore the combination of historic and modern physics and technology that refiners use to actually "rearrange" the hydrocarbon molecules in crude oil and turn them into gasoline... and other high-demand fuels that power our society. Well, wonder no more. Discover for yourself in this Serious Science video that decodes the mysteries of crude oil. Explore the science behind the formation of crude oil from ancient sea creatures and the petroleum geology that’s responsible for it collecting in reservoirs that can be tapped into by humans. Speaking of us humans, why do we depend so much on crude oil in the first place that impacts almost every aspect of our lives? 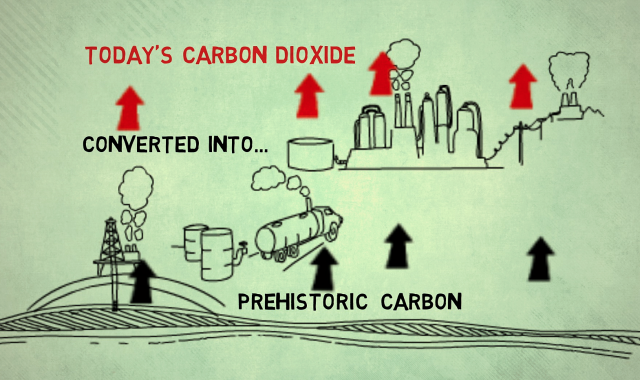 Click the video below to wade into the sometimes complex science of hydrocarbons. Driving vehicles powered by fossil fuels converts millions of year's worth of prehistoric trapped carbon within the earth's crust into carbon dioxide expelled into today's atmosphere. In the past 200 years alone, the industrial revolution has caused CO2 levels to rise from 280 ppm to 400 ppm. The increase in atmospheric CO2 creates the problems associated with climate change impacting marine and terrestrial ecosystems around the earth. What's the solution? 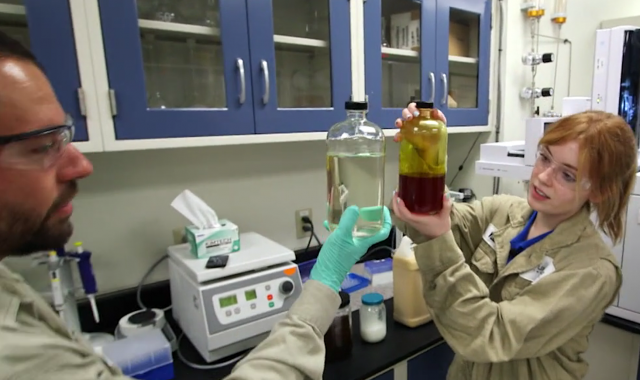 It starts with exploring the CO2 life cycles of different types of fuels that you'll discover in this introduction video that can be used with the four free companion Middle and High School lesson activities below from the Great Lakes Bioenergy Research Center. 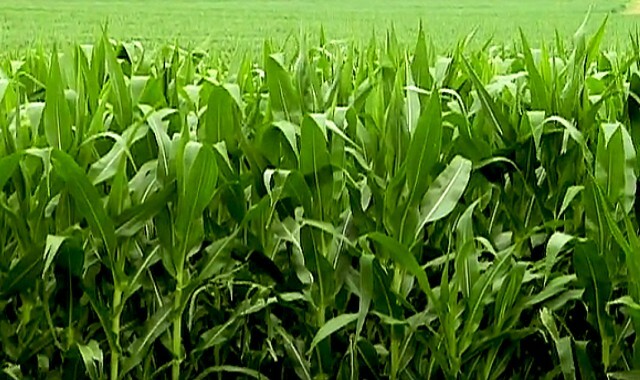 Learn more about one of corn’s most famous by-products, ethanol, in the Serious Science video below. Discover where it comes from, how it’s processed, and the biochemical reactions involved in turning into fuel. Then, have your teacher click on the lesson guide to find out more about this fascinating fuel. Be sure to check out the website of our educational partner who supported the video and lesson content by clicking the link below. 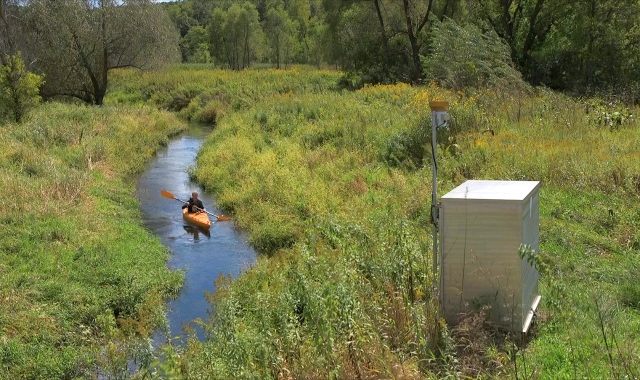 To help clean up rivers across the nation, this serious science video decodes how the Pleasant Valley Branch of the Pecatonica River went from a sediment-choked, nutrient-polluted waterway to a quality, cold-water trout stream in just a few years. 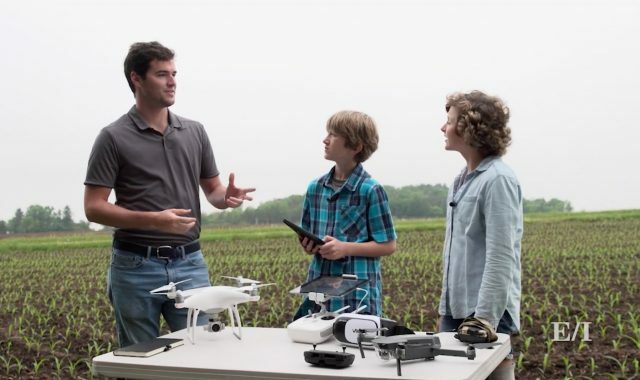 Discover how computer science combined with land use practices and partnerships make the impossible a reality. Find out in this Serious Science video. The hosts, Josh and Caroline, help you discover the variety of benefits that plants offer to help you make your own value-based decision about the role trees and plants play in our lives. After watching the video, check out the free lesson activities below to take this learning into your classroom. And be sure to also click the link of the educational partner that supported this video! 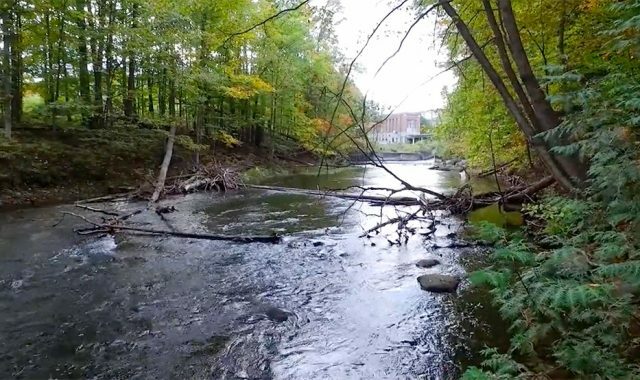 This new Emmy-winning film The Ottaway – A river Reborn, explores the history and future of humanity’s relationship with the Boardman River and how decisions 100 years ago set the stage for a remarkable restoration effort. History shows that rivers are essential to building thriving communities, but who does a river really belong to? The Ottaway describes the life and livelihood a river provides to both human and natural communities through the perspectives of all who depend on it. Explore with your students the struggle for balance and viability that humans must mitigate to both use rivers to support cities and keep natural areas healthy for wildlife. Don your boots and wade into the four-part video series below. You will discover the wonder of how wetlands work, and why they are so critical to our own survival. 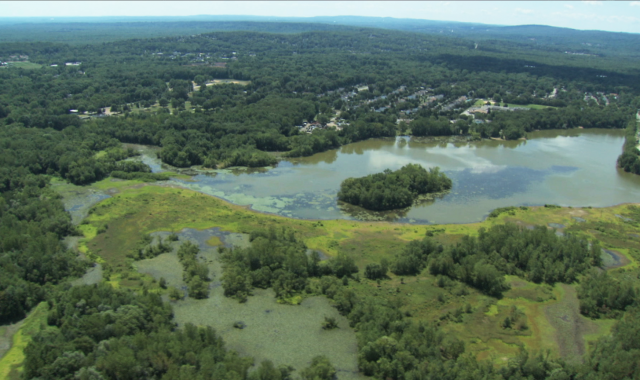 It may surprise you just how many wetlands here in the United States have vanished, but you’ll be encouraged to see how those that remain are being studied and protected. Have your teacher download the companion discussion guide or lesson below to take some wetland wisdom into the classroom. Plus, the educational partner noted below supported the video and discussion guide content here for all of us to learn from. They offer other learning opportunities on their website. Click their logo to discover more. 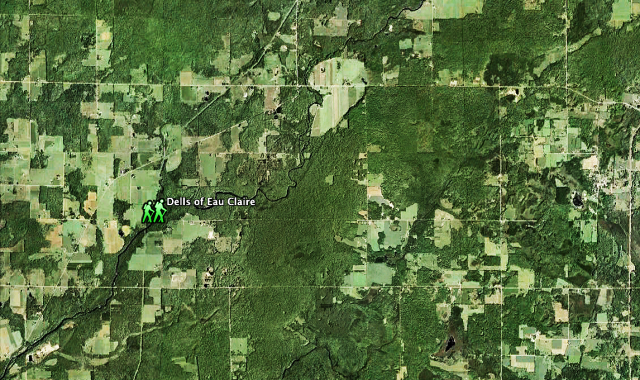 Put your pack on and hit the trail with Josh and Caroline as they look for evidence of glaciers on the Ice Age Trail. You will want to “chill” and watch all four parts of the video series so you don’t miss anything. 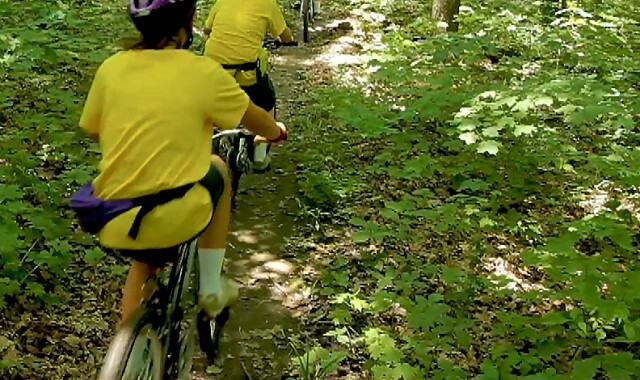 Discover drumlins, potholes, and even a snake as you follow along on the trail. Next, check out the lesson below to solve even more Ice Age mysteries. Do you feel like getting out on the trail yourself? Click the link below to visit the page of the Ice Age Trail Alliance. They supported the video content and lesson activity you see here. Their site will give you all of the info you need to hit the trail with your family and friends. See you on the trail! 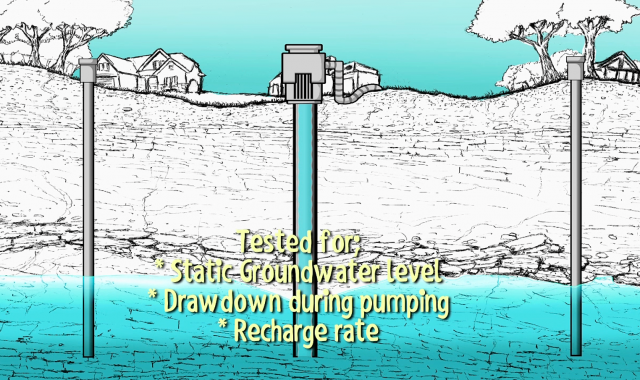 Uncover the answers as you explore the Serious Science video and information below where you’ll discover why karst topography is especially vulnerable to groundwater pollution. Want to learn more about this type of limestone landscape and find out what you can do to keep its waters safe? Get the companion lesson activities down below into the hands of your teacher for fun classroom discussions and peer-driven learning. Find out by wading into the technology and engineering in the two Serious Sciences videos here. 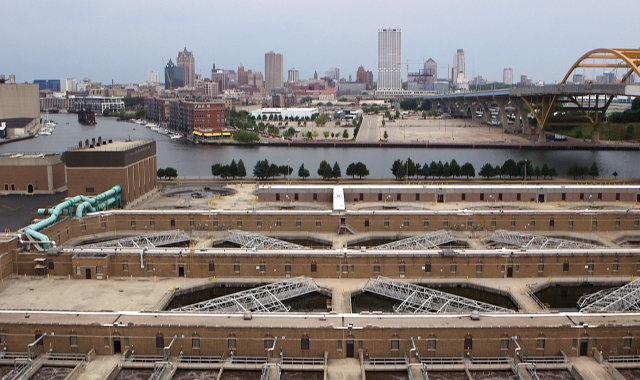 When you’re finished learning about urban grey infrastructure, explore the "Supa-Green Infrastructure" video to the right to see very cool ideas for creating green infrastructures in your business or home. The technology and innovation of this green science are sure to “grow” on you. Discover the combination of chemistry and biology that creates this environmental threat by plunging into this Serious Science video below. Then take your learning even deeper into this murky topic by using the companion lesson activity below in your classroom. 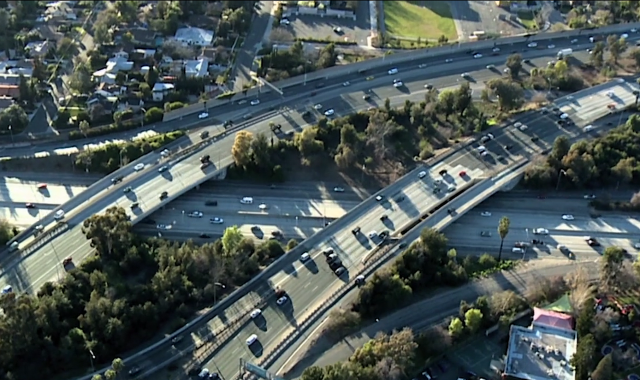 You’ll get the drift by watching this Serious Science video. The driftless area gets its name from the total lack of glacial drift material in the southwest corner of Wisconsin. 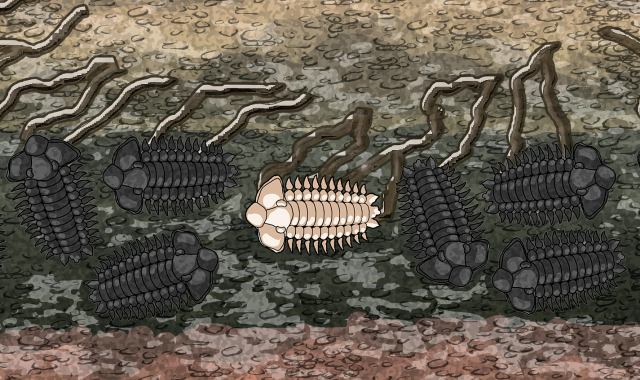 The area is home to unique species found nowhere else and is home to many other mysteries. If you want to solve even more mysteries, check out the link to “Mysteries of the Driftless” below. Drift on down to the companion lesson guide to take your learning even further. Make sure you take a look at the page of our educational partner, The Ice Age Trail Alliance, to get even more facts about glaciers and their effect on the landscape. And be sure to click on the page of our educational buddies at Untamed Science to view the Emmy-winning documentary about the driftless area, “Mysteries of the Driftless”. Find out by checking out the Serious Science video below. Evaporation, precipitation, condensation, and much more are covered in the video. Plus, you’ll get to see how wetlands help provide us with the water we need. We hope you brought your umbrella. 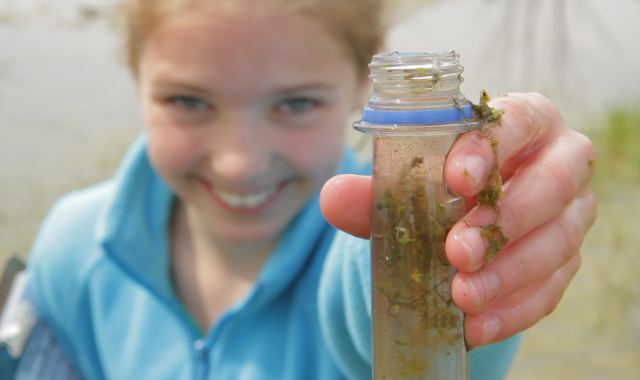 To dive into the deep end of wetland water cycles, explore the companion lesson guide below. Plus, the educational partner noted below supported the video and lesson content you see here. They offer more learning opportunities on their website. Click their logo to check these out. Our educational mission is to inspire schools to adopt Green & Healthy Schools programs that empower students with real-world health, science, and environmental project-based learning. 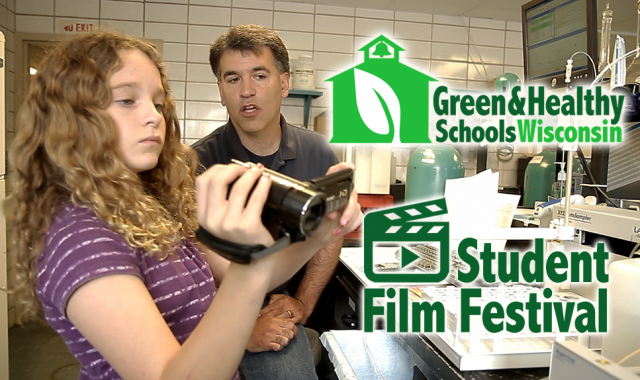 We advance that learning with hands-on, peer-driven video projects through a statewide GREEN & HEALTHY SCHOOLS STUDENT FILM FESTIVAL. Find the answers to these questions and more by watching this video. You’ll learn what happens when hazardous waste enters the environment, what impacts the waste can have on the environment and on us, and, most importantly, what we can all do about reducing those wastes and their risks. 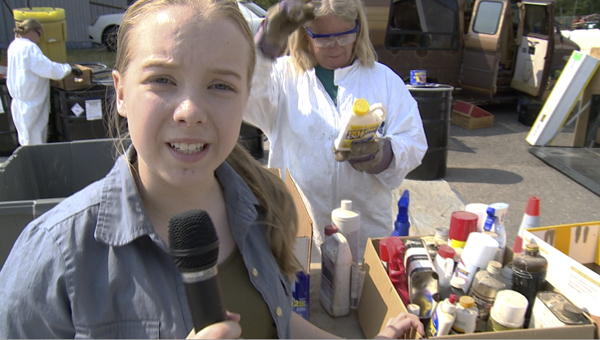 Dealing with hazardous waste is far from fun, but learning about it definitely can be. Click on the games and lessons below to see how. 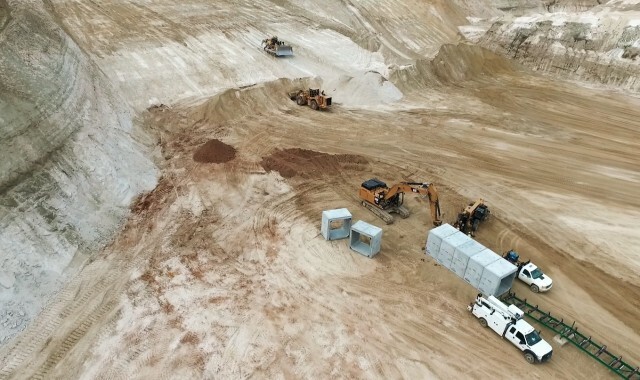 A mine reclamation plan is a critical part of any mining operation, including sand mines. A crucial part of that plan involves the identification of key wildlife species that inhabit that area before mining begins. See how one mine not only reclaims the visual landscape, but considers specific abiotic and biotic factors that help restore displaced species - both big and small. The sand mining operation at Tunnel City uses lots of water during the various parts of their processing and mining operations. In fact, they use 15,000 gallons per minute all day long. Yet they only need to pump fresh water from the aquifer once every few months. Yeah, we know that math doesn't equate. So what's their secret? Keep reading and watch the video below. Discover the answers to these questions and more by watching the Serious Science video below. Learn to identify different glacial features by sight and by using the computer. Someday, you can hit the Ice Age Trail and be able to locate interesting sights all along the way. How “cool”. 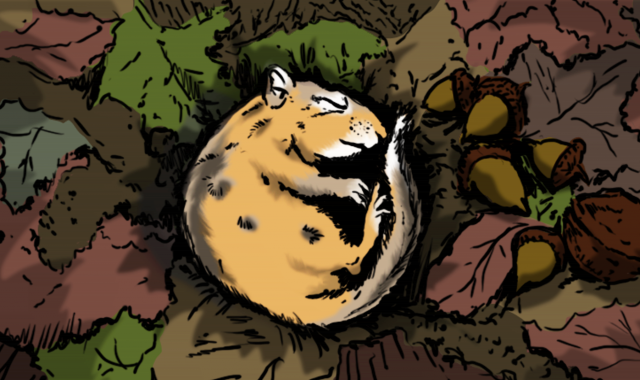 Next, check out the companion lesson below to uncover even more Ice Age mysteries. Do you feel like getting out on the trail yourself? Click the link below to visit the page of the Ice Age Trail Alliance. They supported the video content and lesson activity you see here. Their site will give you all of the info you need to hit the trail with your family and friends. Find out by watching this Serious Science video! Between 2.3 million years ago and 12,000 years ago, glaciers covered much of the Midwest landscape. 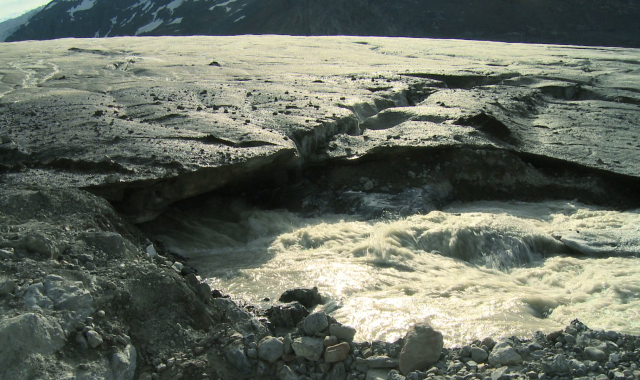 These rivers of ice carved much of the terrain and deposited a variety of sediments. 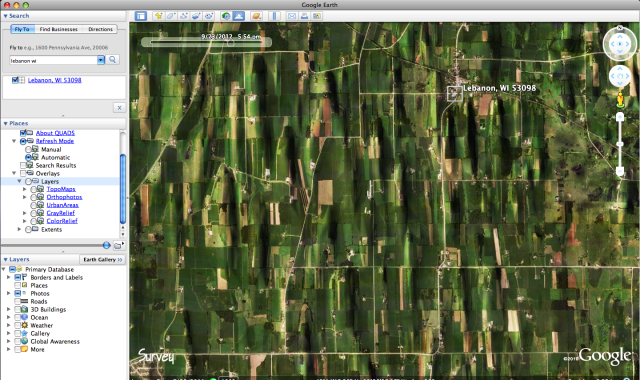 Imagine a 300-foot-tall bulldozer making its way across Wisconsin. Now you get the idea. 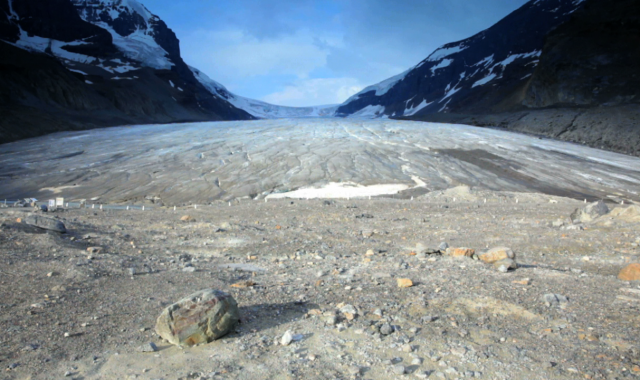 Check out the companion lesson guide below to “reshape” your understanding of glacial geology. Do you feel like getting out on the trail yourself? Click the link below to visit the page of the Ice Age Trail Alliance. They supported the video content and lesson activity you see here. Their site will provide you with even more learning opportunities. Discover the answers by watching the 23-minute video below as you wade into the science of water pollution. Find out what can be done by whom to save lakes threatened by toxic cyanobacteria, how some botanical gardens recycle water in creative ways, why karst topography is critical to drinking water, and how an entire watershed was restored by science-driven partnerships. Ready to take the plunge? This online video is only the tip of the educational iceberg that's coming soon into classrooms across the county. 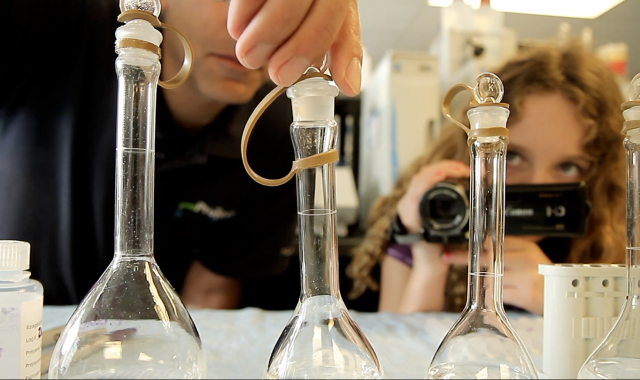 We're also creating four separate Serious Science videos and companion classroom lesson activities that explore the STEM (science, technology, engineering, math) and social aspects of water pollution while igniting peer-driven critical thinking. 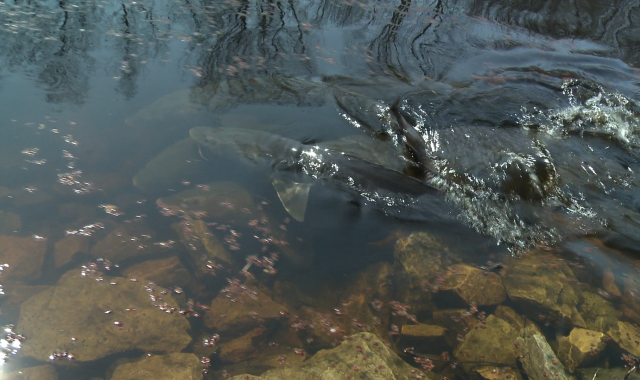 If you want to know more about what is being done by whom to protect our precious surface and ground waters, visit the website of the educational partner that supported this production... our friends in conservation at Wisconsin Land+Water. Put your pack on and hit the trail with the hosts in this Serious Science video as they look for evidence of glaciers on the Ice Age Trail. 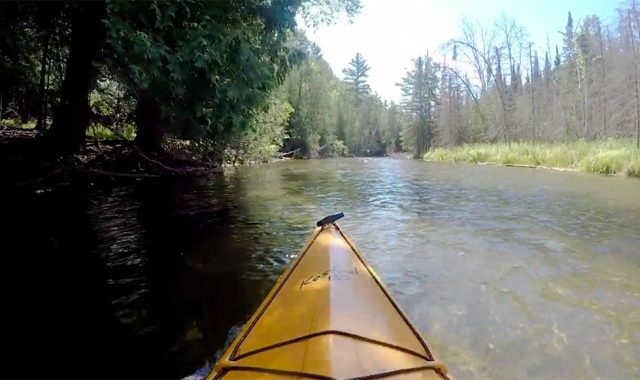 Find out how you can safely uncover one of the most unique and interesting trails in the Upper Midwest. 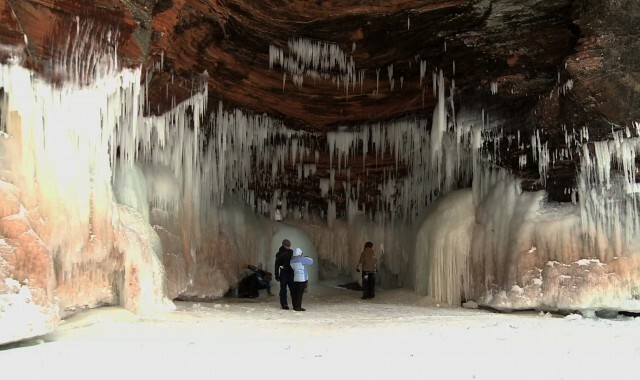 Check out the video to learn what it takes to uncover Ice Age mysteries along the trail. Next, check out the lesson below to learn about how you can safely discover pieces of the Ice Age Trail and identify its interesting parts along the way. Do you feel like getting out on the trail yourself? Click the link below to visit the page of the Ice Age Trail Alliance. They supported the video content and lesson activity you see here. Their site will give you all of the info you need to hit the trail with your family and friends. See you on the trail. Moo-ve on down to the video link below and watch all four parts of this video to learn more. You may not have expected Einstein’s Law of Thermodynamics, biochemical processes, and dairy farms to be so related but… that’s the wonderful thing about science. You never know what may be interconnected. When you’ve finished watching the videos, check out the lesson and resource links to become a sustainability expert. The educational partner noted below supported the content here so be sure to check out their website to get even more information. Did you know that not everyone with a career in agriculture drives a tractor? 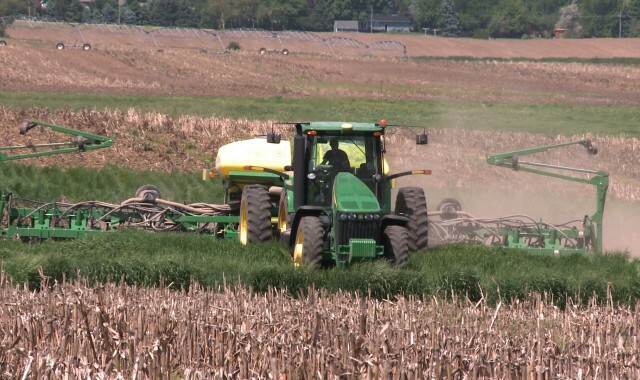 There are a large variety of careers that support farming in Wisconsin! This video series highlights four careers related to the field of agriculture and production of the leading US export, soy. Each one of these careers assists farmers in growing, marketing and selling a product that keeps the farm viable and helps provide safe and healthy food for the world’s population. Explore the answers by reading below, and look for the episode to be broadcast on June 18/19. Our hosts ask a variety of experts to help them unlock the secrets of soybean sustainability in farms, businesses, communities, and transportation hubs. From kayaking down the Mississippi River to hanging out with the coolest soybean around, Coolbean, they seek the science and help you understand it. Check out the link below to learn more about the educational partner that supported this episode. Encourage your teacher to download the free discussion guide below to take your learning even further. 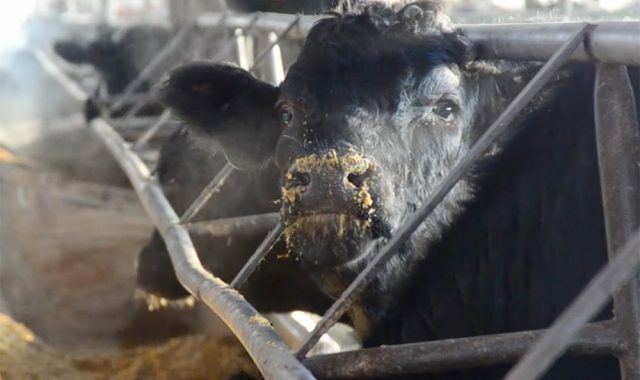 Did you know that one cow produces as much waste per day as 18 humans? That means if a large dairy farm has 8,000 cows, it is the equivalent to a city of 144,000 humans. Where does all that waste go? In cities we have municipal sewage treatment plants to keep our surface and ground water clean. But farms do not have these same systems. Sustainable Farming will show you the problems that farmers and environmental managers must discover and solve to keep our farms safe, productive and healthy for all Wisconsin residents! 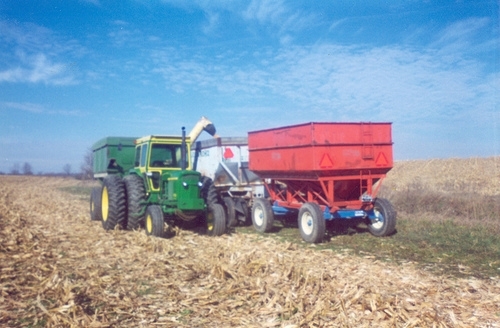 We all know that we depend on farms for our food, bio fuels, and other products we use in our daily lives. But modern farming practices also have the potential to wear out the soil, deplete its depth, and pollute surface and ground water. 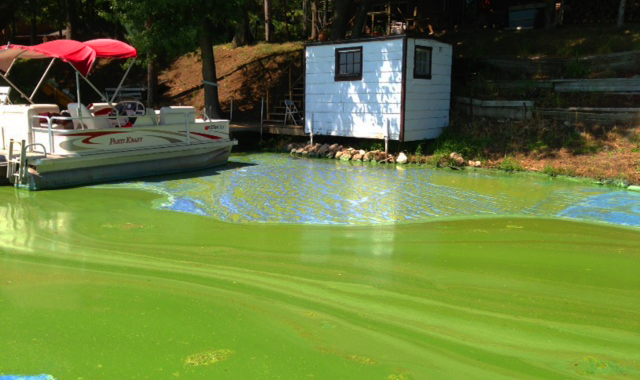 Thousands of farms in our state have to shut down every year due to these problems. We need all of these farms to sustain our state’s viability and economic health. But how can we mitigate the problems farmers face and the environmental problems that farming can cause in order to make farming sustainable for the future? Today’s farmers are learning that the old ways may be the best ways. Watch Searching for Sustainability to find out how farmers are looking to the past for old methods to solve these current problems! If fish farming, also known as aquaculture, is news to you, don’t worry. 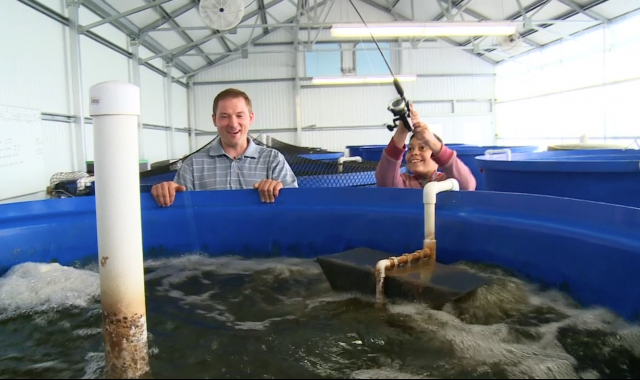 The Serious Science video below will fill you in on how aquaculture works. 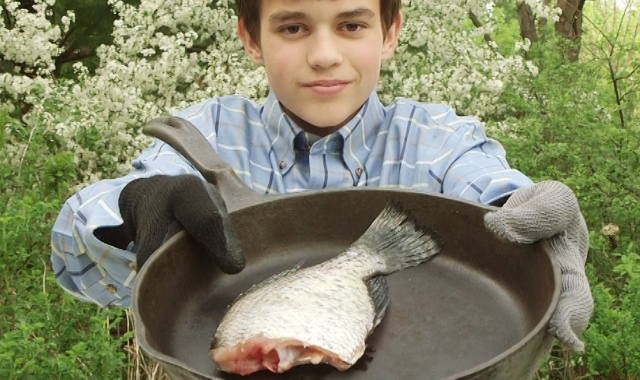 You will also learn about aquaponics, where the waste from the fish is used as fertilizer for growing crops. And the crops are grown in the same water that the fish use. Talk about surf and turf. Click on the discussion guide below and the lesson activity to learn more about this topic and to put into practice what you learned in the video. Discover more by watching the Serious Science video below. You will learn all about the impact of corn on our society, how it is farmed sustainability, and even some of the science behind how it grows. To discover even more about corn, check out the lesson activities below. The educational partner listed below supported the video and lesson content, so be sure to visit their web page as well.They offer additional lesson activities along with more details about corn production in the Upper Midwest. Discover the answers by watching all four parts of this video series. Follow Josh and Caroline as they moo-ve throughout dairy farms, exploring the science all along the way. Check out the two lesson activities below for even more learning opportunities. Make sure to click the logo of the educational partner that supported this video and lesson content for us all to learn from. They offer even more learning opportunities on their website. Unless you’re a farmer yourself, this Serious Science video will be the closest many of us will come to experiencing life on a beef farm. Watch the video to see how cows are fed, cared for, and moo-ved. 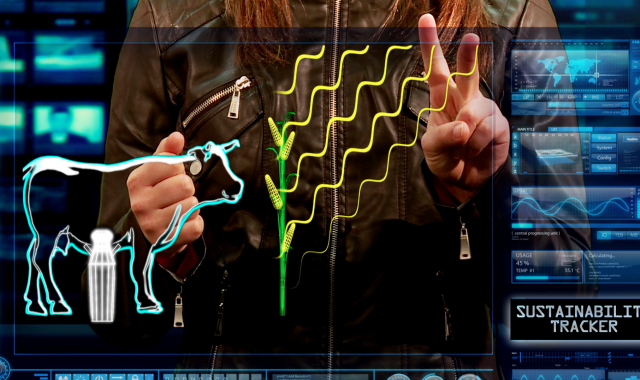 In addition, you will learn about many products made from cows that don’t involve food at all. 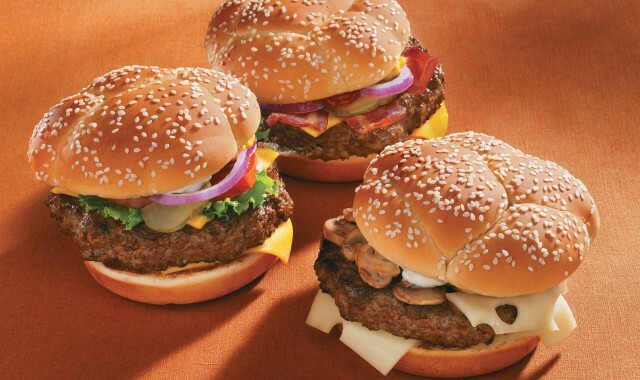 Hold off on that hamburger just a little longer and explore the lesson activity to meet your meat. Make sure to click the logo of the educational partner that supported this video and lesson content for us all to learn from. They offer even more learning opportunities on their website. Cows provide most Americans with food. Mmm. 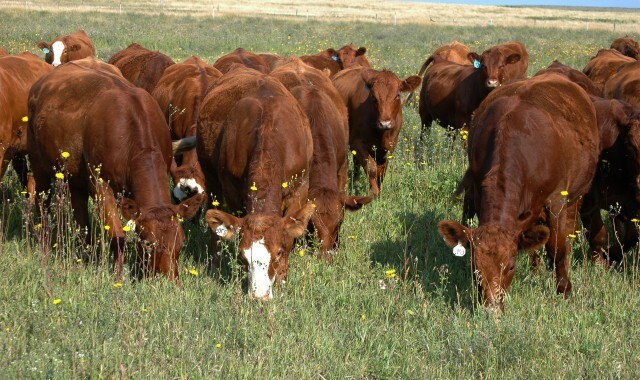 But it is important to remember that beef production has the potential to really affect the environment. Fortunately, as you will see in the Serious Science video below, the majority of beef producers are committed to being good stewards of the environment. 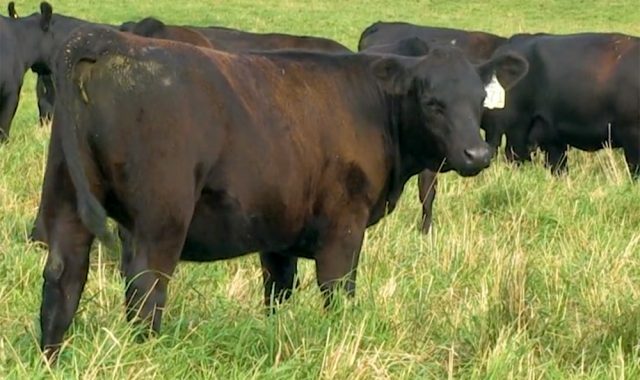 Learn how cattle are raised in a humane and environmentally-friendly way by viewing the Serious Science video below. Next, have your teacher download the free discussion guide to learn even more. Click the link below to find out more about the educational partner that supported this video and lesson content. Find out by watching the four parts to the video series. You will go onto a cattle farm to see beef production in action and meet some of its friendly inhabitants. Take advantage of this “rare” opportunity to meet your meat. When you finish watching all four parts, I think you’ll agree that the videos are all very “well done”. Next, click on the elementary or middle school discussion guides to learn even more about the meat you eat. Make sure you check out the website of the educational partner that supported the video content you see here. The link is below. Discover the answers to these questions and more by watching the Serious Science video below. Learn how Wisconsin can provide almost half of the world’s soybean needs and what these little beans do for humans and animals. This short video is will expand your brain "soy much" more. To take your learning even further, click on the free companion lesson guide below. Plus, the educational partner noted below supported the video and lesson content you see here. They offer more learning opportunities on their website. Click their logo to check them out. Venture back in time by watching the Serious Science video below. Discover how soy has been a central part of cultures for thousands of years and learn why soybeans have become one of the most important crops in human history. There is soy much history that you'll want to click on the lesson guide below to take your learning into your classroom. Ask your teacher to download the free guide. No cost = big fun. The educational partner below supported the video content for all of us to learn from. Click their link below for bonus learning opportunities and to develop the important skill of gathering information from a variety of sources. So what do you do after the fun part of catching the fish is over and you're looking into that bucket of "potential protein"? The solution is easier than you think once you learn a few of these basic steps to cleaning your catch. Then you can enjoy the healthy eating while also becoming a more sustainable citizen of Planet Earth by harvesting and consuming a renewable resource... fresh fish! Find out by watching the four parts to this video series. Discover how the ITO adventure team complete challenges testing their ability to work together, solve problems, and physically handle a true eco-trek. Whether they're paddling rivers or venturing deep below ground, our team learns about staying fit, outdoor safety, plus caring the environment. And, of course, how to have a great time into the outdoors. Embark on an educational journey of your own by clicking on the lesson links below. 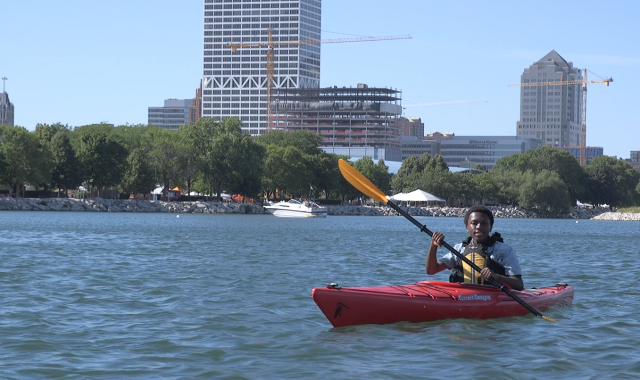 Before you get to the finish line, check out the link to the educational partner who supported this video series which helps teach all of us how to be safe outdoors. Learn about Lyme Disease and what you can do to both prevent and treat it by watching the video below. 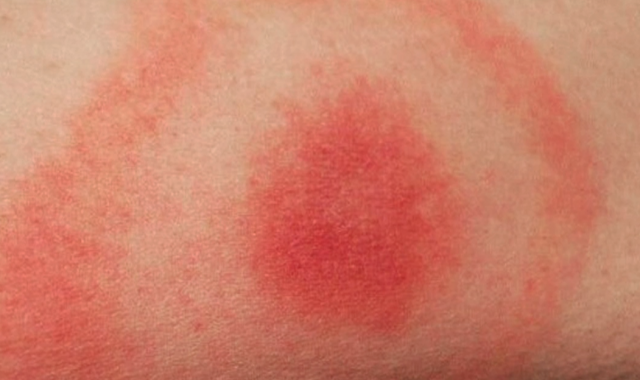 The video outlines how Lyme Disease spreads from ticks to humans and the symptoms to watch out for. Additionally, you will see real people who have contracted Lyme Disease and what they are doing to fight its effects. To get more insight into how Lyme Disease, and many other diseases, can be prevented, please visit the page of the educational partner listed below who supported this content. Learn the answers to these questions and more in the Serious Science video below. 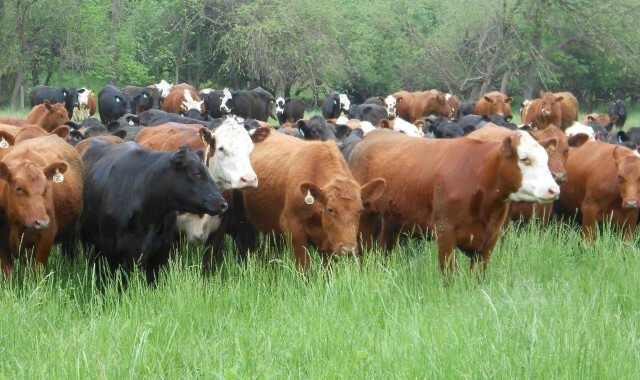 The beneficial role of beef is highlighted, as are the intense precautions that the beef industry takes to keep our food safe. To take your learning even further, download the elementary or middle school lesson guide below. Click the link below to find bonus information about the educational partner that supported this video and lesson content. Watch the videos below to learn how. Here at Into the Outdoors, we believe in exploring. Discovering the mysteries of nature is not only a great way to learn, but it's also a lot of fun. These days, more and more kids are spending time inside in front of technology and we want to provide a resource for kids so that they can see the benefit of spending time outside. Check out the videos below to see how you can become a healthier and more outdoor-oriented individual. Be sure to check out the YouTube page of our friends at WCA Group Health Trust for lots of bonus health videos and wellness resources. Discover what animals do to survive, and even thrive, when surviving isn’t so easy. From bumblebees to humans, you will learn how animals adapt to their environment by watching all four parts of this video series. You can learn in your classroom by checking out the discussion guide for these videos. Be sure to check out the website of our educational partner who supported the video content for even more learning opportunities. Discover the answers to these questions and more by watching this Serious Science video. You’ll realize just how astounding animals can be when they need to get through harsh winters, and your warm home will feel that much more comfortable. Make sure to download our lesson to discover more about this fascinating subject. Oh, and you can’t forget to click on the link of the educational partner that supported this video content. They have extra learning opportunities on their website. Discover the answers to sharing the landscape with bears by watching this Serious Science video and reading the information below. And to take this learning adventure into your classroom, have your teacher download the free Lesson Activity at the bottom of this page so everyone can share in the fun of this inquiry based learning. Dive into this topic and by watching the Serious Science video below. 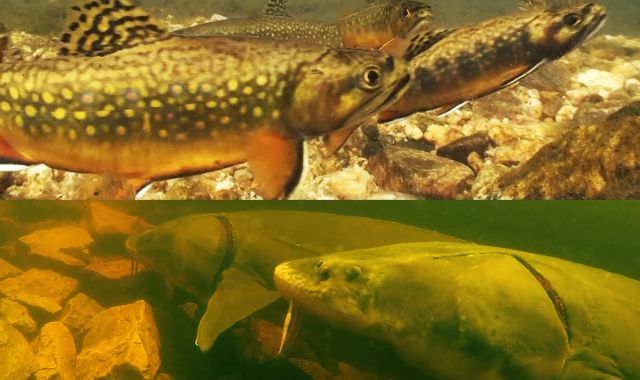 You’ll be transported underwater to compare and contrast two well-known fish species here in the Upper Midwest. Don’t worry…. you don’t have to hold your breath for too long. Gulp down the contents of our lesson activity by clicking on the link below. Make sure to click the logo of the educational partner that supported this video and lesson content for us all to learn from. They offer even more learning opportunities on their website. Sure, the idea about sustainable agriculture is a good one, but how do you bring it home? Imagine that all home yards, schools and businesses had native flowers growing around them. Then even yards and cities could be a place where native insects, birds and other wildlife could find food and homes. 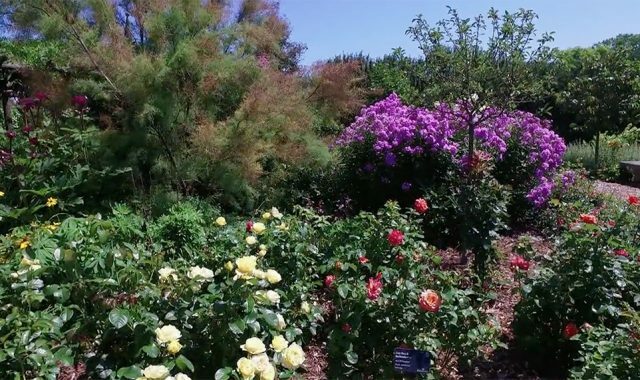 Green Bay Botanical Gardens demonstrates how you can create diversity in your own yard to provide for native wildlife, and to grow both flowers and edible plants that you can enjoy! 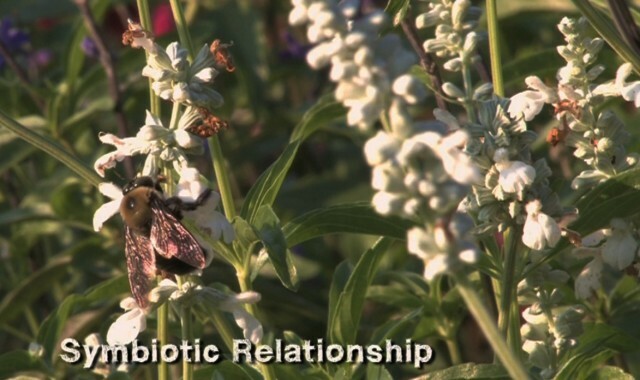 Learn even more facts about the important role of pollinators in this Serious Science video. You’ll discover the science of how plants reproduce, and how pollinators help them develop fruit and spread their seeds. 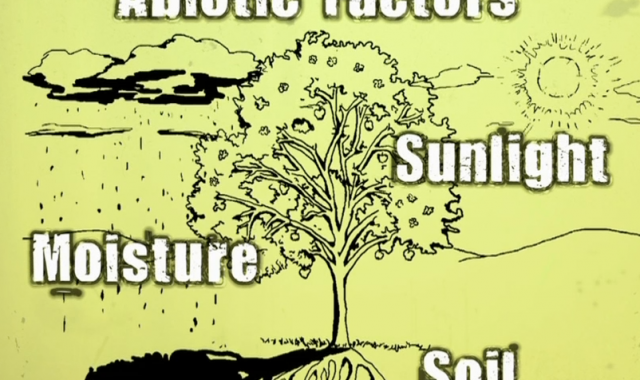 The video explains how plants use nitrogen fixation to develop after pollination and how plants depend on the water cycle over time. To explore this topic even further, download the free lesson activities below. 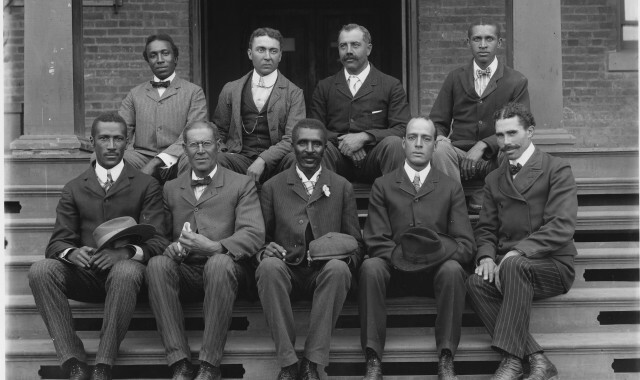 George Washington Carver is one of the most famous botanists, or plant scientists, in U.S. history. His discovery of nitrogen fixation essentially saved many of the fields, and the farmers that depended on those fields, in the American South. 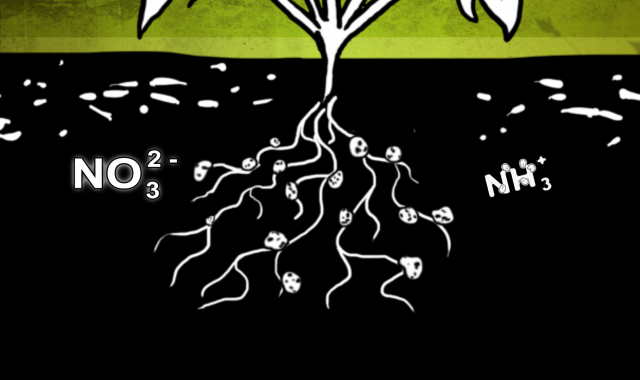 Nitrogen fixation is where legumes, like soybeans, alfalfa, and peanuts are planted every other year in cotton fields to enrich the soil with beneficial nitrogen. Watch the Serious Science video below to learn how this amazing man made such an incredible discovery. Make sure to open the discussion guide below to “plant the seed” in your brain about nitrogen fixation. The guide gives you all the tools you need to do this so “plow” ahead by clicking below. Don’t forget to click on the link below to check out the website of the educational partner that supported the video and discussion guide content. Find out by checking out the Serious Science video below. Wetlands ecologists go out into the middle of wetlands, collect data, and piece together the complex relationships between wetland species. Do you like getting wet, muddy, and surrounded by wildlife? Explore a wetland near you and see if you have what it takes to be a wetland ecologist. To learn more about how to get involved with wetlands in your area, download the companion lesson guide below. Plus, the educational partner noted below supported the video and lesson guide content you see here. They offer more learning opportunities on their website. Click their logo to explore. Learn the answers to these questions and more in the Serious Science video below. 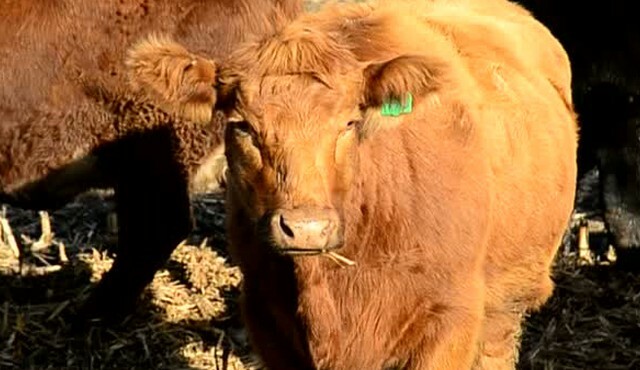 You may be surprised about just how beneficial beef can be to human health. To take your learning even further, download the elementary or middle school lesson guide below. Click the link below to discover more about the educational partner that supported this video and lesson content. Find out by watching this Serious Science video. 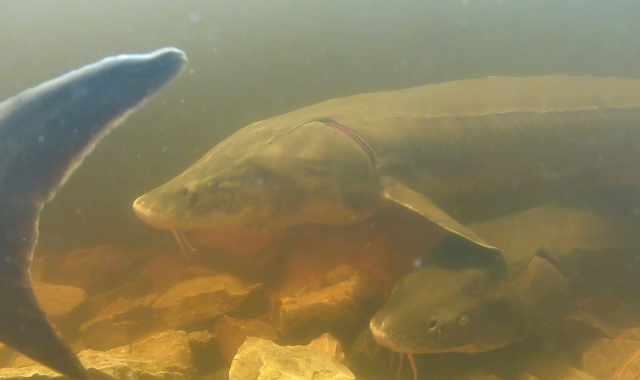 You’ll learn about the relationship the Menominee Tribe has with the sturgeon, why the sturgeon is being monitored these days, and you will see just how big these prehistoric creatures can grow. 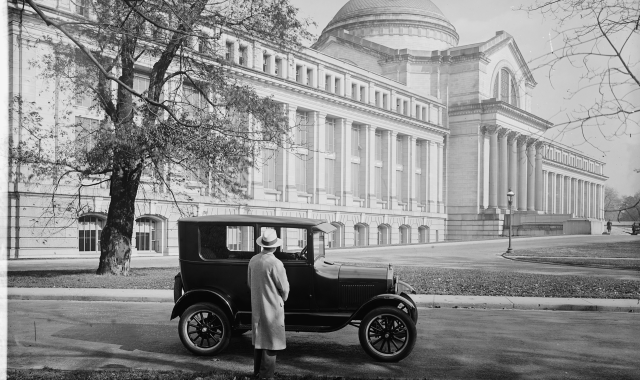 Take a step back in time as you explore the topic further in your classroom using our free lesson guide below. Make sure to click the logo of the educational partner that supported this video and lesson content for more insight into the Menominee Tribe. They offer extra learning opportunities on their website. Watch this Serious Science video to discover how forests can provide humans with countless resources and animals with places to live. See how forests can be managed in a sustainable way. Paul Bunyan has nothing on today’s modern foresters. Then, take a short-CUT to learning by downloading the lesson below. 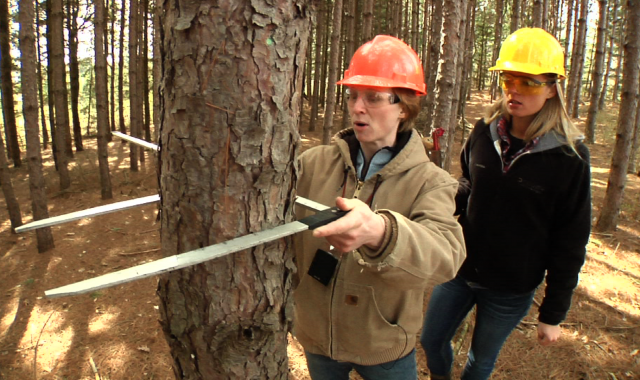 The Great Lakes Timber Professionals Association was the educational partner that supported this video. Check out their website for bonus information on how forests are managed in the Great Lakes Region. 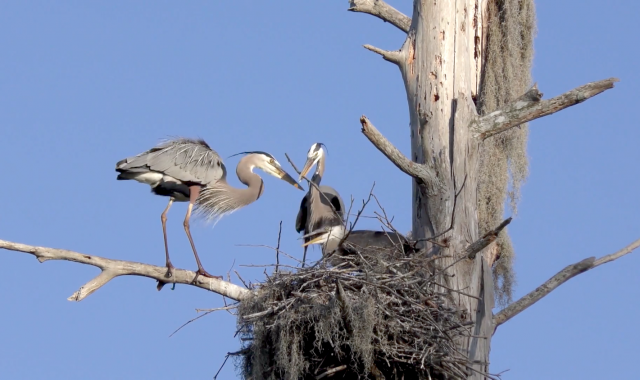 Ever wondered how you can help your neighbor tweety birds grow families? Don’t just wing it and instead watch these two videos. You will become wise to how companies build artificial structures for herons and osprey. And if you check out the lesson guides below and share them with your teacher, your class will help baby birds take to the skies by building nest boxes for your backyard! Interested in exploring habitat-rich sanctuaries flocking with birds? 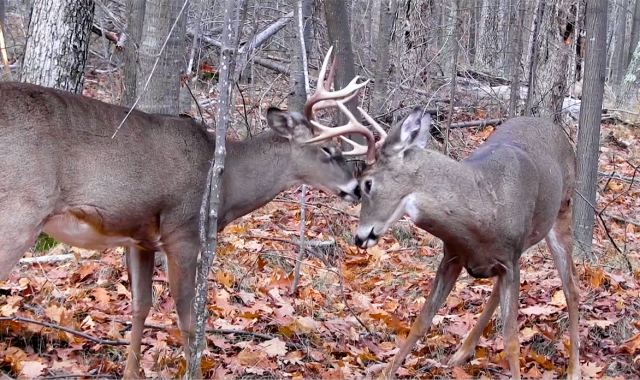 Then swoop in and watch these two videos! Together, you and your classmates will discover the importance of managing conservancies and sanctuaries while investigating how avian stewards like you can make significant change. And if your teacher downloads the lesson guides below, you and your classmates will fly to new heights in avian understanding. As kids, most of our activities are planned by adults. Sure, we appreciate their help. But we'd also like to plan some of our own adventures in life. 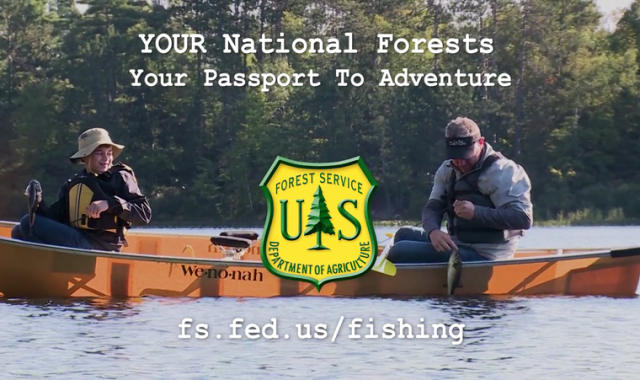 So thankfully the video and information here gives us kids a clear path to mapping out our own adventure... where adults still get to play key roles in OUR PASSPORT TO ADVENTURE on our National Forests. Forests are dynamic, meaning that they are always changing. Discover the changes that forests go through, the different types of forests, and how trees are harvested by watching all four parts of this science video. Then, take a short-CUT to learning by downloading the lesson below. 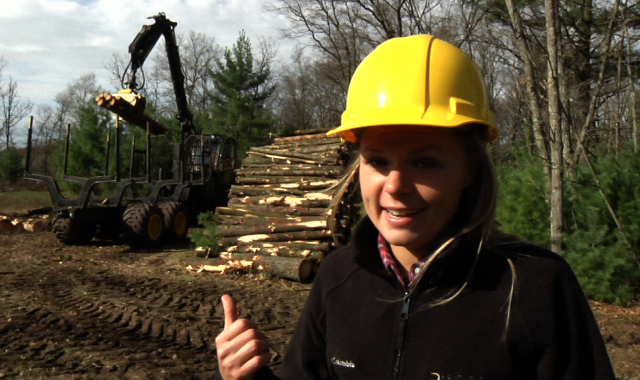 The Great Lakes Timber Professionals Association was the educational partner that supported this video. Check out their website for bonus information on how forests are managed in the Great Lakes Region. What forces finally awakened a nation about the need for protecting and conserving shrinking wildlife populations? 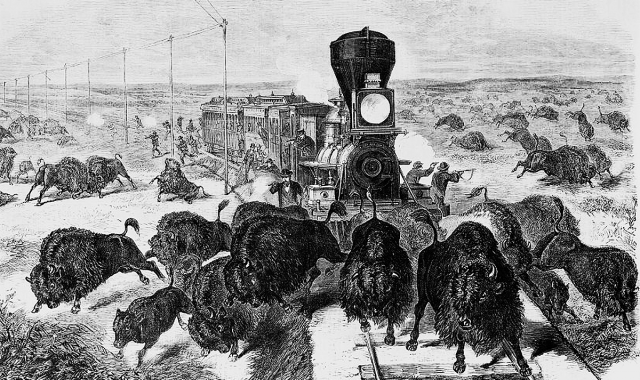 How has the birth and evolution of modern wildlife conservation reshaped the health and future of America's wildlife resources? You may be surprised at what has happened in the past 100 years. With over 30 MILLION white-tailed deer across North America, what science and modern wildlife management techniques do biologists use to balance the heavy loads of biological carrying capacity with the cultural carrying capacity? In fact, is it even possible to achieve both of those at the same time if you also try to manage for a healthy "bio-diverse" ecosystem? 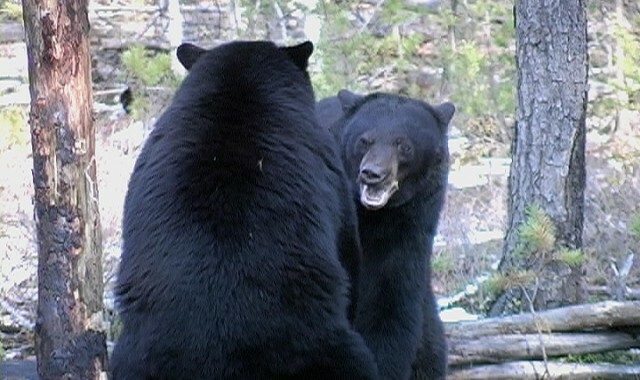 First, professional bear managers need to know a lot about bear biology and behaviors. They also need to know a lot about the challenges of managing how people co-exist living near bears. It’s a delicate balance between managing the “biological carrying capacity” (the number of bears the habitat can support) and the “cultural carrying capacity” (the number of bears society is willing to tolerate). 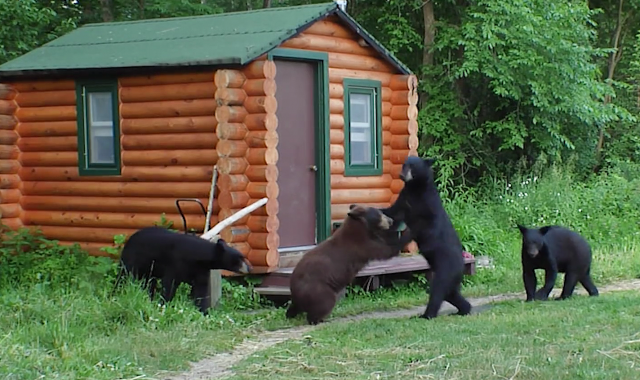 How would you like a black bear as a "neighbor"? Fortunately, for every animal on Earth, there is balance. This balance is what scientists call "biological carrying capacity". Explore this important topic by watching the Serious Science video below. Also check out the free lesson guides that will help you and your class learn even more about the balance that exists in nature. The educational partner below supported the video content. Click their link to bonus learning opportunities. Find out by watching this Serious Science video. You’ll learn how the field of conservation science has changed and why technology is a central part of saving wildlife today. You’ll be… shocked! Slide on down to the companion lesson guide to expand into classroom learning about fish conservation. Make sure to click the logo of the educational partner that supported this video and lesson content for us all to learn from. They offer extra learning opportunities on their website. Discover if there are indeed dinosaurs among us, or if that's just nonsense, by watching the four parts of this video series. 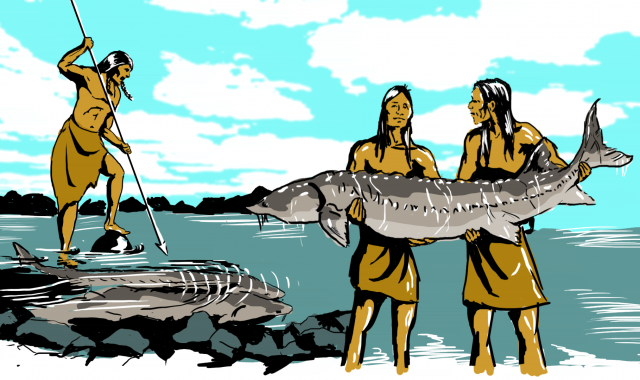 You might be surprised by what you learn about one of the largest fish inhabiting the Great Lakes region and what is being done to prevent it from following the fate of most other prehistoric creatures. 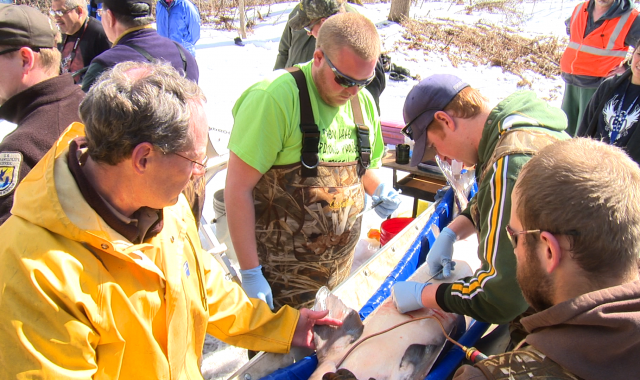 Don’t forget to dive into the discussion guide below to get even more background on sturgeon conservation. If you're a high school student, have a look at the lesson activity that will you to build off what's in the discussion guide. The educational partner below supported the video content. Click their link to access bonus learning opportunities. The steep sandstone cliffs along Lake Superior have been weathered by wind and waves for millions of years. In some places, this erosional action has formed caves in the rock. 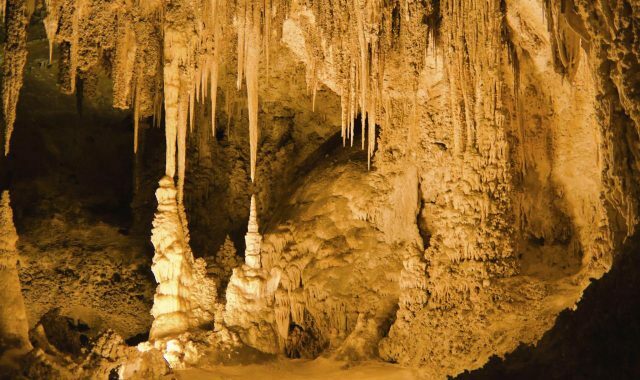 When winters become especially cold, ice can fill the caves and create a place begging to be explored. Watch the Serious Science video to discover nature's secrets about these fascinating features. When you see how much fun the ITO adventure team exploring up there and how much they learn, maybe you’ll be inspired to “chill” up there yourself. Be sure to check out the lesson activities below to share in classroom learning about rocks and erosion. Don’t forget your hardhat... with earmuffs. If you don’t know the answers to these questions, watch the four videos in this video series. Follow Josh and Caroline as they trek from a jungle to a laboratory that seeks to uncover the mysteries of milk. Ask your teacher to download the lesson activity below that allows you to build your knowledge about the chemistry of life. Don’t forget to check out the website of the educational partner that supported this video content. You’ll learn tons of new stuff about the ins and outs of the dairy industry there as you moo-ve through their website. So how do sand miners extract select zones of quality industrial sand without blasting ancient sandstone formations to smitherines? And how can they possibly work in a massive mine operation without impacting the air quality as they generate silica dust? Watch the video below to discover the technology and engineering that make it possible. Watch this Serious Science video to reveal the answers. From the technology involved in soybean production to Henry Ford’s role in developing soybean products, you’ll be “soy” knowledgeable about this very important crop. Share this video with your classroom and take your learning to another level by downloading our free companion lesson guide. 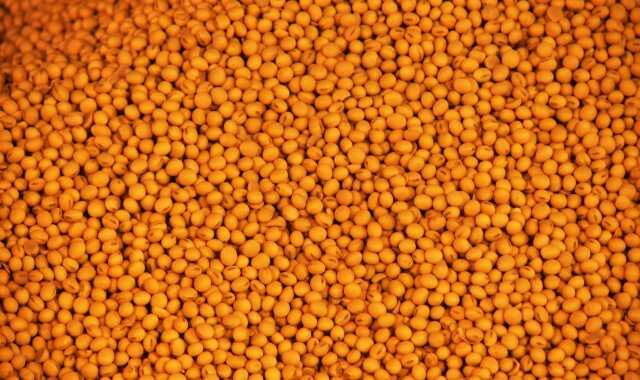 If you'd like extra lessons involving soy, check out the elementary and high school lesson activities. You'll be soy savvy if you pair these with watching the soy science videos on this website. The educational partner below supported the video content for all of us to learn from. Click the link below for bonus learning opportunities and to develop the important skill of gathering information from a variety of sources. Can you list three things you use every day made from or by using industrial sand? Would you believe your drinking water, your toilet, your smart phone, your car's engine, windshield and probably the gas in the tank are all made from or used industrial sand in some way? No joke. 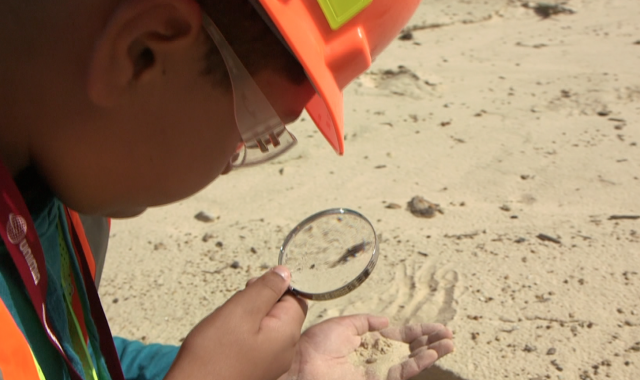 Dig deep into this "gritty" science, both here and in your classroom, to discover how something as simple as ancient sand impacts our lives in so many ways.